Bacon has grown in popularity. It is not just for breakfast anymore. Bacon is used in both sweet and savory applications, below is a photo of bacon going into a batch of chocolate chip cookies! Bacon comes from our friend the pig. 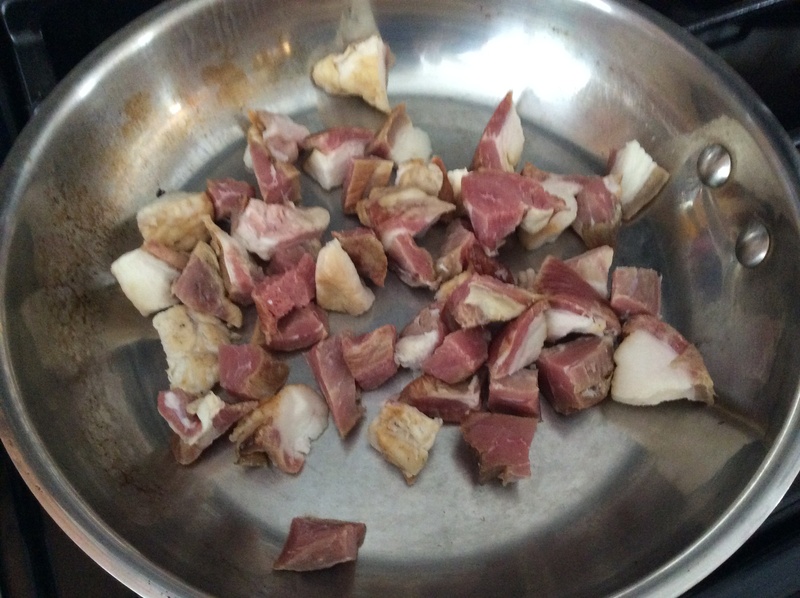 It is a fatty meat from the belly and sides of the pig. Most bacon goes through a salting or curing process, as well as a smoking process. In my opinion, bacon is delicious and we love farm fresh bacon. You will notice a significant difference between fresh local bacon and the bacon packaged in a grocery store. 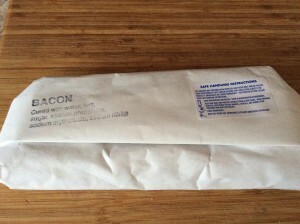 Bacon has a high fat to meat ratio, it is essential for the flavor we all know and love. 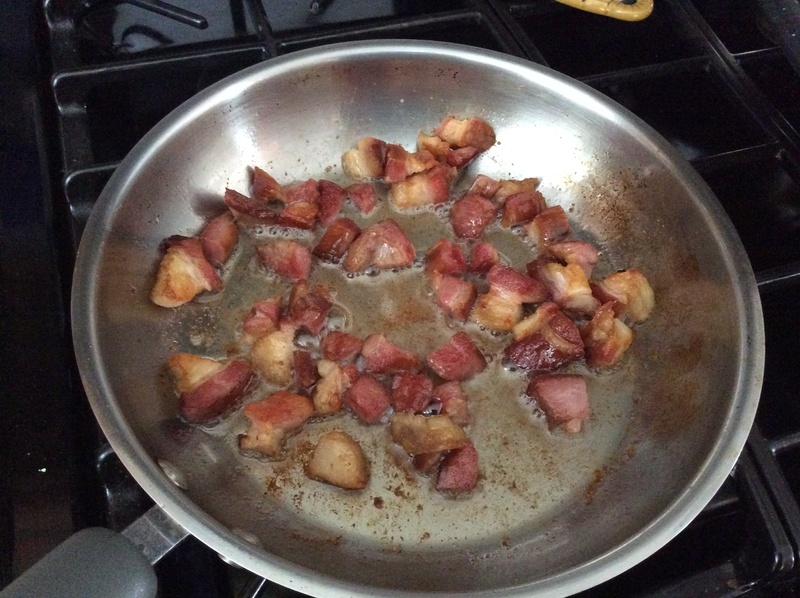 Save that bacon fat! Got a pressure cooker or an instant pot? Like bacon? Not sure about collards? This one is for you! If you have garlic scapes, it’s an absolutely wonderful addition, but you can skip it too. This recipe is a great way to use those collards during a quick weeknight meal without a huge investment of time. Add this warm cabbage to your list, its a keeper! I’m sure it would be very pretty with purple cabbage as well. I used a fresh mozzerella cheese in this salad, perfect. Honey mustard was my dressing of choice but play around here, use your favorite! This recipe emerged when I accidentally ran out of corn and substituted fiddleheads. I decided to write it up when I saw my husband, a man who does not typically enjoy fiddleheads, going back for seconds. 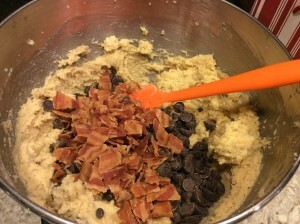 This is a great recipe to use with bacon ends too! The onion family ingredient is flexible as well, try it with shallots or red onion as well.